A friend on another forum (not Mexico themed) posted a tip for those of us here in Mexico who crave grits. Maseca makes a product called Harina para tamales Norteños, or something like that. On her advice, I bought a kilo bag ($19 pesos) at Bodega Aurrerá. and just gave it a first try. It looks a lot like "speckled" white grits. I took a wild guess, and boiled about 2 cups of water and a good pinch of salt. Then I gradually stirred in about 14 cup of the Harina para Tamales Norteños. Lowered the heat to a simmer, and cooked it about 5 minutes, stirring often.. The final result is not bad, although it's considerably thinner than the quick grits from the U.S. to which we are accustomed. There's a subtle undertaste of cal, which while not unpleasant, isn't noticeable in True Grits from the U.S. It is bland, of course, but with plenty of freshly ground black pepper and/or Tabasco Sauce, it's palatable. I had a light fried egg on mine. I notice that in the time it takes me to write this, the Maseca "grits" thicken up. This may never truly replace proper grits, but it's worth experimenting with it, and it's cheap. I'm looking for a package image, but haven't been able to find one yet, due to a slow Internet connection. 14 cups of harina for 2 cups of water? Ah! It was supposed to be 1/4 cup. Next time, I'd use either a bit more harina or a little less water. Don't anyone get too excited. This is a very creamy cereal, not exactly grit-ty. Harina just sort of looks like grits. They won't do. I'd go for cornmeal mush but that's hard to get too. Seems odd for a country that subsists on corn products. Might have to give that a try. 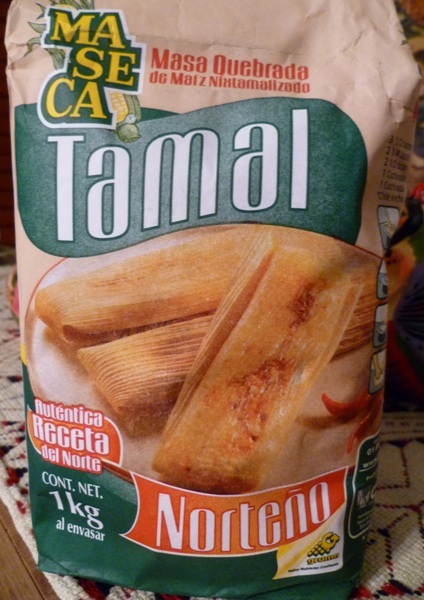 It seems Tere bought some of that awhile back and it made lousy tamales, too crumbly. Heavier nixtamal flavor than grits as you mention. If you cook them 5 minutes and get overly creamy grits and our tamales were crumbly I might suggest for the tamale folks to cook the masa a bit and the grits folks to try cooking them much lighter, like instant grits.